You lead a busy lifestyle. You worry about missing special moments and being away from your loved ones. With over 100,000 satisfied pet parents, Petcube pet cams are designed to help care for your four-legged kids. Petcube isn’t just a dog camera or a cat camera, it’s a savior for lonely pets. 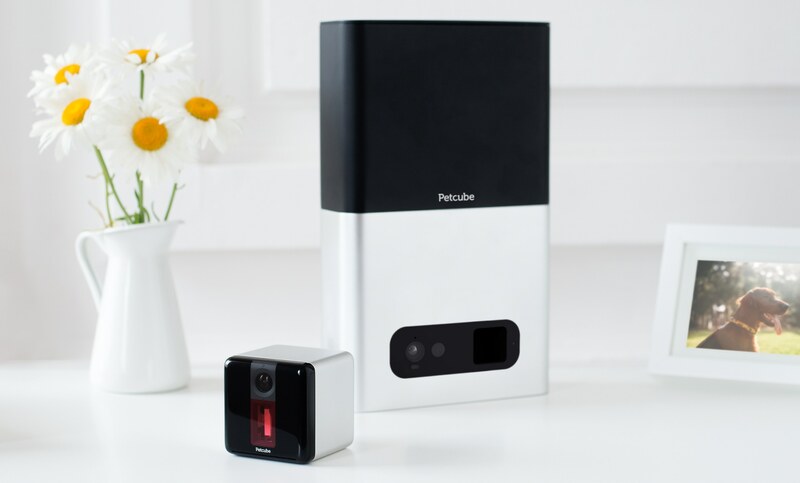 Try a Petcube Play camera, or Petcube Bites pet treat camera 45 days risk-free. Petcube devices are the best pet cameras for the home. Enjoy video chat with your pets. Wonder what they’re up to? Spy on them to make sure they’re okay. Enjoy peace of mind 24/7. Have confidence that your pet is safe and keep your home safe too. Save your shoes and furniture from destruction and solve mysteries. Never let your fur kid down, and keep them happy even when you can’t be there. 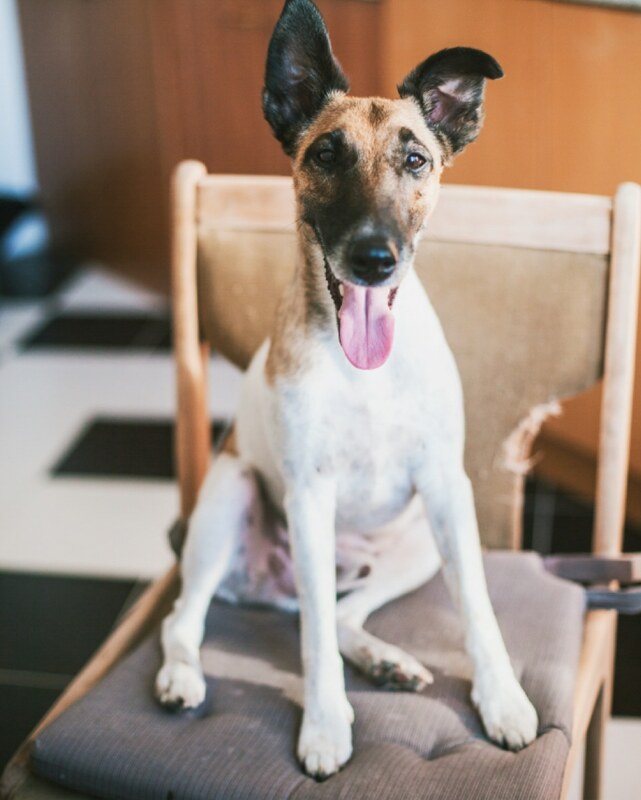 Whether you’re dealing with dog separation anxiety or destructive chewing behavior, Petcube pet camera devices can help you take corrective measures to calm and redirect your pet’s energies. Your four-legged kids don’t always get to see grandma, grandpa, extended family and friends. Let your inner circle stay in touch by sharing access to your interactive pet camera. Big or small, your pet should never have to be your first line of defense. Pets are family, and Petcube is a pet monitor camera to help you look after the safety of your home and loved ones. 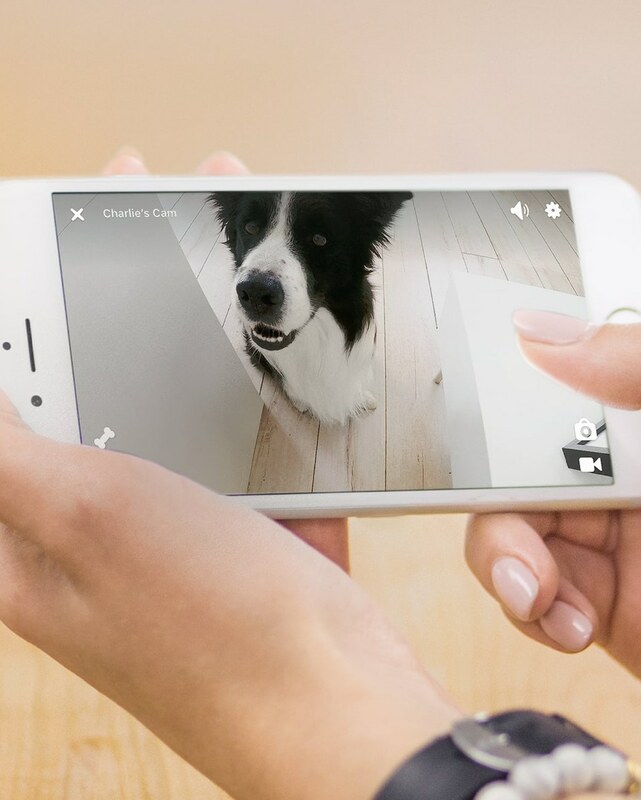 With the best home security camera features, Petcube has you covered. Petcube cameras are gorgeous and understated. You’ve never seen a home camera look this good inside and out. Sleek with clean lines, Petcube is ideal for any home or apartment setting. For multiple rooms and larger homes, get a multi-pack of Petcube pet cameras and save a bundle. Petcube. Designed for pet parents. Petcube es una cámara inalámbrica interactiva para mascotas que te ayuda a permanecer en contacto con tus mascotas cuando no estás en casa. El sistema de control de mascotas Petcube te permite ver, hablar y jugar con tu perro o gato con la ayuda de un láser desde cualquier sitio desde el que uses tu smartphone. Puedes compartir acceso a la cámara de vídeo de tu mascota con tus amigos, familia y cualquier otra red Petcube. Copyright © 2019 Petcube, Inc. Todos los derechos reservados.